Ever wondered which mushroom it was that inspired the iconic red power up tool in Super Mario Bros? 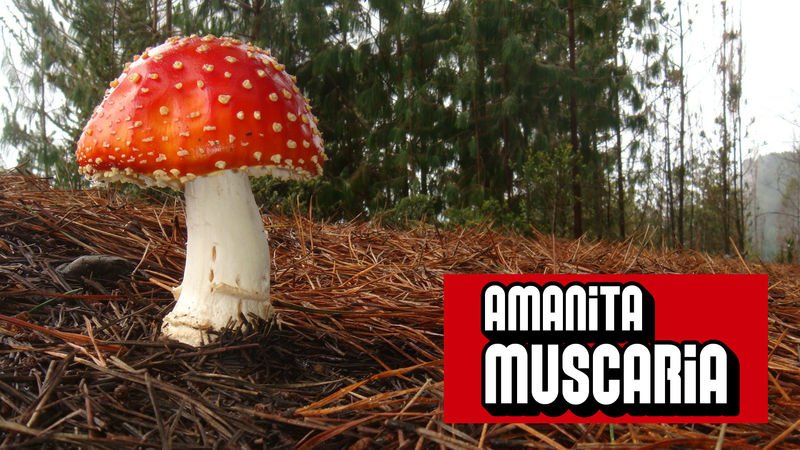 Meet Amanita muscaria, the Super Mario Mushroom. This mushroom comes in a lot of varieties, but its most common is the red capped version that gamers know and love. If you are searching for one in the wild, they can be found throughout the northern hemisphere in both temperate and boreal regions. Look in the coniferous and deciduous forests for your best shot at finding one. A very important note though, these mushrooms are poisonous so don’t eat them. Though they do not commonly cause death, they are known to cause nausea, vomiting and drowsiness. Additionally, they naturally produce ibotenic acid, which is a hallucinogen. Makes you wonder if Mario was actually saving a princess from a giant, man-eating turtle or if he was just dreaming it. Photo by Saúl Ortega, logo treatment by Biofriendly Planet | Used with permission via the Creative Commons Attribution-ShareAlike 2.0 License.